Christmas Day 2.30pmDish up and enjoy your dinner! 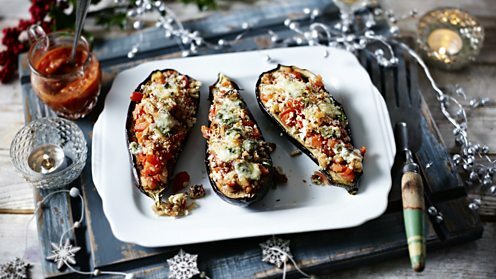 Want a stress-free Christmas dinner? The secret to a cracking Christmas dinner is a thorough to-do list. The good news is we've written it for you! All the tricky planning is done. The menu is flexible, so you can pick and choose your favourite dishes. Where possible we've suggested preparing things in advance – so there’s lots of time for breaks, no last-minute panic, and it’s manageable even in the smallest of kitchens. If you prepare a menu, shopping list and a schedule now, you'll find everything much easier. 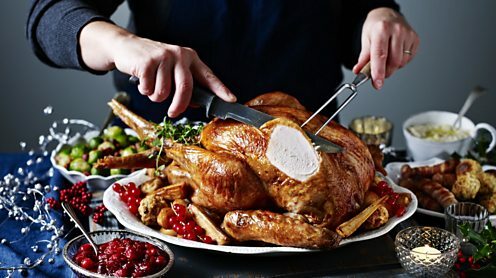 We've created a classic Christmas dinner menu including all the trimmings, but many recipes will work within the times provided so feel free to pick and choose as you see fit. 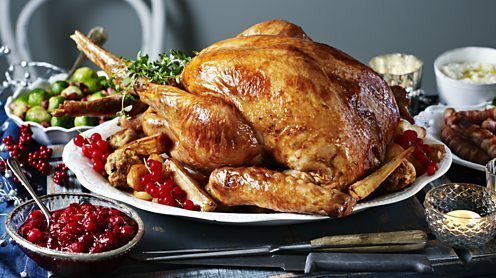 Just take care with the turkey cooking times if you decide to use a different recipe – no one wants food poisoning for Christmas! Being indulgent doesn’t mean being complicated. If you have pets make a plan to keep them out of the kitchen – or your dinner might end up in the dog. A few minutes spent planning now will save you hours – and a lot of stress – later. Clear out your fridge and freezer to make space for all your Christmas goodies. Overfilled fridges are ineffective, and you'll struggle to find what you need. Try to buy all non-perishable food and drink now to minimise spending time in crowded shops just before Christmas. Don't forget to sharpen your knives and stock up on basic kitchen equipment such as tin foil, cling film and food bags. 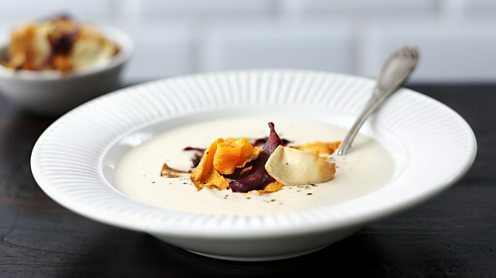 Soups are an easy option for Christmas starters as they can be made ahead and dressed up with luxurious toppings. Buy your fresh groceries and get ahead with the cooking. If you're buying a frozen turkey this is your last chance as they take a few days to defrost. It's worth preparing a few dishes now so you can save your energies for the main event. Starters such as soups, pâtés and terrines are particularly well suited to this. Whatever you choose to make, ensure it can be served cold or easily reheated. Your freezer is your friend – soups, tart cases, even tiny fishcakes freeze well. 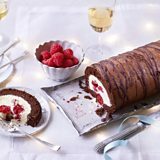 This fudgy chocolate log can be stored in the fridge overnight and given a light dusting of icing sugar just before serving. The countdown begins... complete one final check of your shopping list while the shops are still open and prepare as much food as possible today. 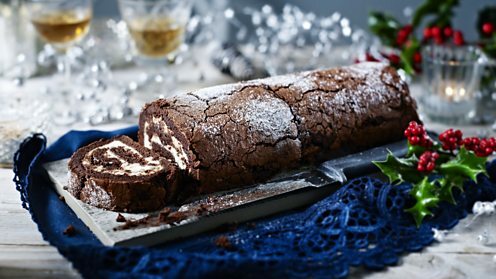 It's a good time to make an alternative pudding for Christmas Day – chocolate logs are always popular and can be stored in the fridge overnight. If you like trifle, this is the time to prepare it, but leave the whipped cream and toppings until the last minute. Many hands make light work, so delegate whenever you can. Especially the jobs you hate – you are the manager of this operation after all. Enlist help from friends and family: there's a whole lot of peeling to be done. Put on your favourite Christmas tunes and get it out of the way. Prepare all the vegetables now. Trim the sprouts, dry them and store in the fridge in food bags. Peel the parsnips, cut the smaller ones in half lengthways and the larger ones into quarters, store them in a bowl of water to prevent them browning. 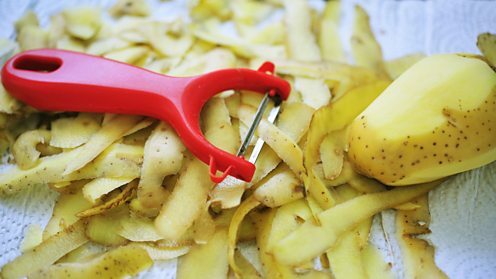 Peel the potatoes and cut into large chunks ready for roasting, then cover with water. Just do three vegetables! Three nice vegetables – not mountains of them. Part-cooking roast potatoes ahead ensures you have time to give them a good hot crisping while the turkey rests. 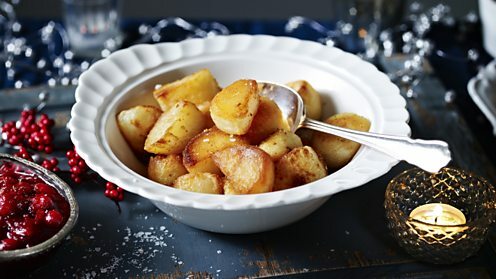 If you part-roast your potatoes and parsnips now they can be finished while the turkey rests tomorrow. Unlike turkey, they cook best at a high temperature so you will get better results, as well as more oven space, and no last-minute panic. Simply roast the par-boiled vegetables as usual but remove them from the oven when they are pale golden-brown. Remove any excess fat from the roasting tray and let them cool completely before covering with foil and storing them in a cool place. Cranberry and bread sauces are both far superior when homemade. It's time to get saucy! Make cranberry sauce now to allow the flavours to mingle – it should only take 10 minutes to cook and is much better than anything you can buy. 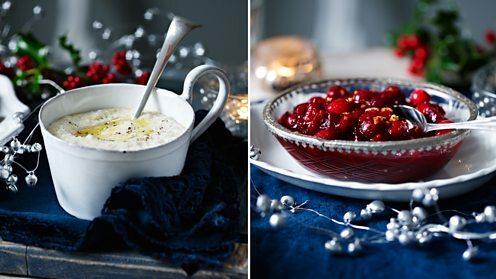 If you are a fan of bread sauce, make this now ready to be quickly reheated on Christmas Day. If you have time you can even make gravy using the giblets from the turkey. Pigs in blankets are very quick to prepare. The last little jobs before bedtime. Chill the drinks ready for tomorrow. Store them outside if your fridge is bursting at the seams – a car boot is a good option if you don't have a secure garden or shed. 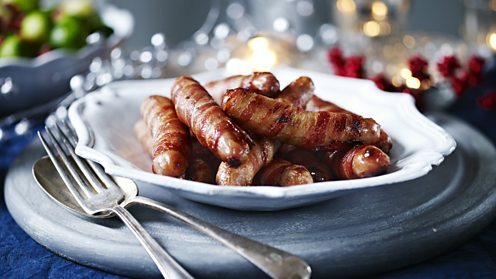 Prepare your pigs in blankets by rolling the sausages in the bacon and defrost any frozen ingredients or dishes you'll need tomorrow. Finally, if you are not following the supplied recipe, you should calculate the cooking time for your turkey. This veggie main can be prepared early and finished with the cheese and breadcrumb topping at the last minute. The first job is to remove your turkey from the fridge and bring it to room temperature, covered, in a cool place. This is important as a chilly turkey will take much longer to cook. Ideally do this 1-2 hours before you need to start cooking, depending on the size of your turkey. If you are making a vegetarian main course, it's a good idea to prepare it now while your oven is free, though nut roasts should be cooked while the turkey rests as they tend to dry out if reheated. Keep it simple with a veggie stuffing. It can be prepared far in advance and frozen if you prefer. For the sake of simplicity it's best to cook your stuffing separately from the bird. Sage and onion is a classic Christmas combination and, because it doesn't contain meat, it cooks quickly, is fuss-free to make and works well as part of a vegetarian main course. Roll the uncooked mixture into balls and set them aside until 30 minutes before you're ready to serve. A cooked turkey needs to rest for at least 30 minutes and up to 1 hour and 30 minutes, so don't worry about starting too soon. Prepare your turkey now and preheat your oven. In Raymond Blanc's recipe the turkey is simply smeared with butter and seasoned with salt and pepper, but you can add your favourite herbs, spices or zest to the softened butter. Use any offcuts (such as the wings and neck) as a rack for the turkey – this helps the skin crisp-up all over and will give your gravy extra depth. Roast the turkey in the middle of the oven. The bird needs to rest so it absorbs all those lovely juices back into the meat. 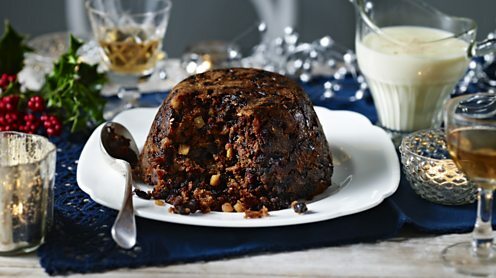 If you like to serve Christmas pudding, now's the time to start steaming it. It will need to be steamed for about two hours, so it is best to start early while your hob is free. When cooked it will happily sit in the pan for another hour waiting to be served – if you do it now it won't be in the way when you are cooking the vegetables and gravy. 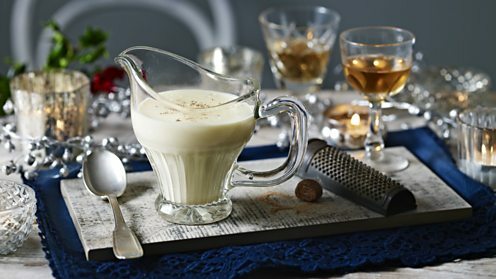 Your hot kitchen is now perfect for mixing up a quick brandy butter which will taste much better than shop-bought. Rum, or brandy, sauce can be made further ahead, but it tastes best when fresh. Apart from an occasional basting of the turkey, there are only a few small jobs to do at this point. Lay the table and remove anything from the fridge that's best eaten at room temperature (such as cranberry sauce). If you like to serve your pudding with rum sauce, cook it now, let it cool a little and cover the surface with cling film to prevent a skin forming. It can be made further ahead, if you prefer, but it tastes best when fresh. Boil or steam the sprouts now and then drain and set aside ready to be reheated in the hot pan with the fried pancetta just before serving. There's lots to do now – keep calm and enlist some turkey-lifting help. Remove your turkey from the oven and check it's cooked. Lift it out of the roasting tray onto a warm serving plate and cover it with foil and tea towels to rest. Turn the oven temperature up to 200C and add the pre-prepared roast potatoes and pigs in blankets. Pour any excess fat from the roasting tray and make the gravy. Boil the Brussels sprouts for five minutes, then drain. Plunge them into ice cold water to cool, drain and set aside for frying closer to serving time. 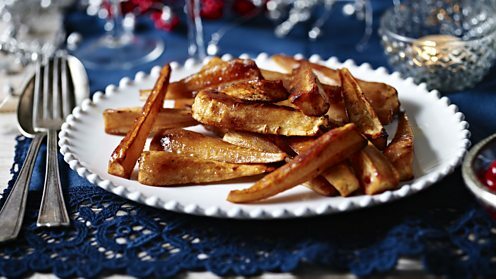 Part-roasted parsnips will only need 10 minutes to finish cooking in a hot oven. Tie up all the loose ends, then serve your starter! Remove the Christmas pudding from the hob and set it aside, still in the pan, so it will stay hot. 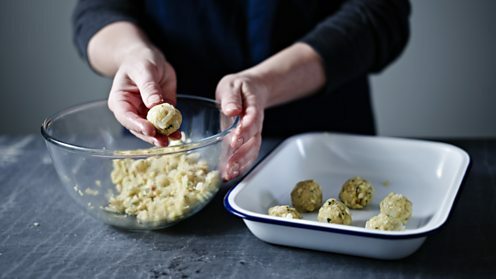 Pop your stuffing balls into the oven while you begin to reheat the soup or assemble your cold starter. After 10 minutes, add the prepared parsnips to the oven for another 10 minutes. Now the stuffing, parsnips, potatoes and pigs in blankets should be cooked. Turn the oven off but keep the door closed to keep the food (and the dinner plates) hot. Serve your starter and relax! Dish up and enjoy your dinner! Impress your guests by carving the turkey at the table, or take it easy by removing the whole breast and carving it on a board in the kitchen. 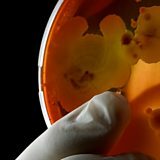 Almost there – pour yourself a well-earned drink and prepare for the last jobs. 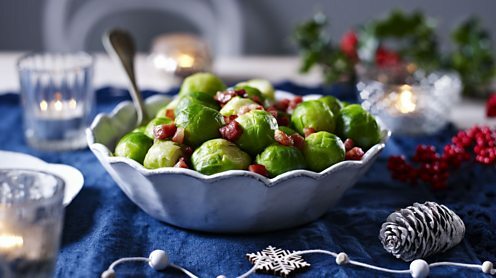 Finish your sprouts by warming them through in a large frying pan with the cooked pancetta or a little butter. Reheat the bread sauce and gravy. Carve the turkey onto the warmed plates, or ideally get someone to do it for you, and serve it with all the trimmings. All you need to do now is reheat the rum sauce when you're ready for pudding and find a willing helper to take on the washing up. It's all done – give yourself a round of applause. 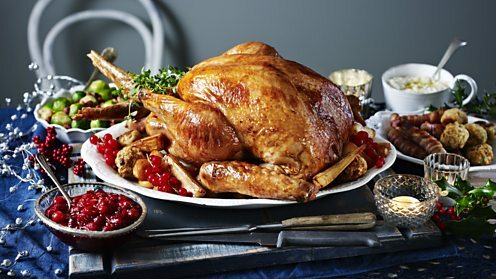 Take the test: How can you eat well for less this Christmas? 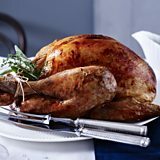 How do I perfect the Christmas roast turkey?